Later this morning, Youth Specialties will officially make this announcement, but I wanted you to hear it here at Pomomusings first: Tic Long is now returning to Youth Specialties and will serve as the new Executive Director. As most of you know, there have been many changes at Youth Specialties in the past year. YouthWorks purchased Youth Specialties on December 16, and while Zondervan will continue to operate the publishing division, YouthWorks is now handling everything else. The other part of the transition that I wasn’t aware of is that now Youth Specialties is operating as a non-profit ministry, instead of a for-profit business. I think that this is a good move and frees YS to be more focused on training, encouraging and supporting folks in youth ministry, rather than being as concerned about money. And recently, many people have been asking “What’s next at Youth Specialties?” The newest answer to that question is that Tic Long is back. Tic has a long history of over 30 years with Youth Specialties, so he certainly knows what he’s getting (back) into. Tic’s real task is in moving Youth Specialties forward and into new territories – opening YS up to younger voices in youth ministry and empowering a new generation of leaders. I met Tic at my first NYWC in Sacramento in October of 2002. I think he was walking around with a video camera and asking people about their experiences of the convention so far. We’ve had a few conversations since then and I’ve always found him to be a wonderfully supportive person. He never knew me that well but I got the feeling that he really cared about me, my ministry and God’s call on my life. I think it’s a great move for Tic Long to come back to serve as the Executive Director and I continue to look forward to what God has in store for YS. What do you think of this decision to bring Tic back? And what are your hopes for the future ministry of Youth Specialties? Just read this over on Marko’s blog too. Such great news. Can’t wait to see where YS goes from here. I’ve had similar experiences with Tic at NYWC. For what little I know of what’s going on, this is a great move. Good to hear of the next phase of YS. Distant links with YS, but close friends with Mike & Karla for years. 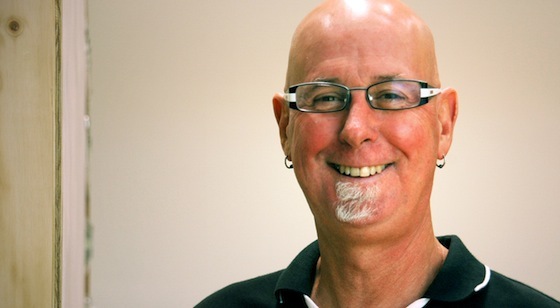 May Mike’s passion for youth & for God live on through future generations of youth leaders & pastors.